Broccoli- the most useful vegetable. Who can avoid a vegetable that is aesthetically appealing, has a wonderful taste, can be used in countless culinary ways and is on the top with its nutritional value. It is a great protector against cancer, and its ideal for weight loss. Broccoli is from Brassica family, which includes cabbage, cauliflower, kale, yellow beets, beet. It’s found more than 2,000 years ago, originating from Italy and was a favorite food of the Romans. In the last 25 years has made tripling of its consumption. In 1992, the researcher from “Johns Hopkins” University of America, published his discovery that some compounds that are contained in broccoli prevent the development of cancer in 60% of the surveyed groups, and also reduces the size of the cancer that had been developed up to 75%. Today, broccoli is one of the most selling vegetable in America. The ingredients of this vegetable are among the most powerful weapons in the fight against human cancer. Contributes to strengthening the immune system, reduces the frequency of occurrence of cataracts, it supports cardiovascular health, participate in building bones and reduces the problems in pregnancy and childbirth. Broccoli is rich in beneficial nutrients and has a very low calorific value. 100 grams of broccoli contains only 28 calories, and 3 grams of protein. The recommended daily dose contains 67% vitamin C, 20% vitamin A and even 110% Vitamin K. Besides it contains more nutrients with powerful anti-cancer properties, a small amount of selenium, thiamine, riboflavin, calcium, iron, magnesium, phosphorus, potassium, dietary fiber, folate and manganese. The substance diindolylmethane is a powerful modulator of the innate immune system responsible for antiviral, antibacterial and anticancer properties. Broccoli contains glucoraphanin, substance that can be processed into an anticancer compound. This acquisition significantly reduced if broccoli is cooked. Broccoli is also a good source of indole-3-carbinol, an ingredient that DNA repair in cells and inhibits the growth of cancer cells. 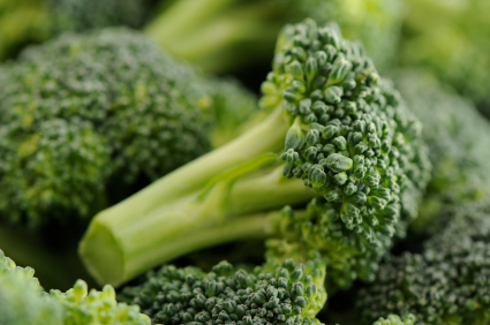 Broccoli contains large quantities of carotenoids, lutein and beta-carotene. Regular intake of large amounts of broccoli reduces the risk of aggressive prostate cancer, and is useful in the prevention of heart disease. But we should not exaggerate with eating, because the sulfate can cause feelings of nausea and bloating of the stomach. 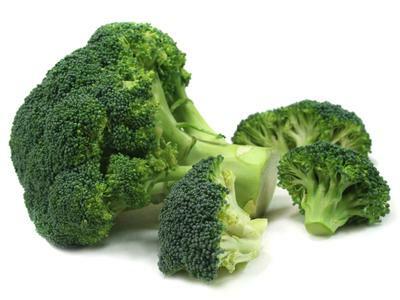 Due to the small amount of calories and the rich nutritional value, broccoli is known as a super food for weight loss. To burn the calories from one dish of broccoli, takes only 5 minutes walk or 2 minutes fast running.